At Ken Davidson Garage Doors we believe we are the best garage door repair Corona provider and would love to earn your business. We provide the best quality repair work in the business. Call us today and talk to me. My core mission for over 50 years has been customer satisfaction. If my customers are happy with my level of service they will refer me to their friends. I have thrived over the years because I have adhered to this principle. If you are unhappy with service you have received in the past, we’d love the opportunity to turn you into a lifelong customers. I have repaired tens of thousands of garage doors in the last 54 years so there are few situations I have not faced hundreds of times. I have learned many tricks to get the job done safely, quickly and inexpensively. I can easily spot potential problems and give you an idea of whether they need to be addressed right away, or can be delayed. If your garage door ever becomes partially detached, stop operating it and call us immediately. The springs, cable, and hardware system are under tremendous tension and must be properly evaluated and counterbalanced before beginning any repairs. Attempting a DIY repair could result in serious injury or death. Nothing Happens When You Push Your Button? We can diagnose the problem quickly. I will not try to talk you into a new opener until I have satisfied myself that your opener is not fixable or not worth putting good money into repairs. In addition, we also offer free estimates, lifetime warranties on parts and ‘round-the-clock care for emergency situations. We give reliable customer care and consider ourselves the best company around. Trying to push the gate up or down, or trying to use the operator to move the gate, can result in 2 things: The first is the gate can completely go out of the tracks, and the second, and the most important, it can be dangerous. Rolling doors in Corona can weights hundreds of pounds, and when such a gate fall, it can easily end with serious injuries. You can read how dangerous a rolling gate can be dangerous, by reading this post about a kid get hurt by a rolling door in Corona. If you think that there may be something wrong with your rolling gate, or if you feel that it doesn’t work in the smooth way that it used to work, we highly recommend that you stop trying to use the gate and call a gate technician. Beside the fact that you may cause a bigger damage to your gate, a broken gate that need to be repaired is something that can be dangerous, to you or to anyone else that use the gate. A good and secure business can save you a lot of money, time and frustration. That is why a good, smoothly working roll up gate is so important. And we like to think that a good roll up gate start from a good materials. If you cant open your business in the morning, or cant lock it and feel safe at night when you leave your business at night, due to a broken roll up gate, You should call us. We provide a 24/7 emergency service for roll up gates repair in Corona. One of the most common garage doors problem, is a broken spring. When a garage door spring is broken, the door cannot work, until you replace the broken spring with a new one. One of the reasons that lead to a broken garage door spring, is lack of garage door maintenance, which should be performed at least every six months. That is why we highly recommend, to provide your garage door with a maintenance service, at least every 6 months, to make sure that door will continue to work in a perfect way for many more years. If the spring of your garage door is broken, or if you think that the spring need an adjustment, we highly recommend that you stop using the door, and call a garage door company in Corona. If you will continue to use the damaged door, not only that you will make the problem worst, but it can be dangerous to you, or to those who uses the garage door. A broken garage door spring does not mean that you need to replace the garage door. All it means is that you need to replace the spring, which is a job that can be done by any garage door technician, as long as he is professional and experienced. Whether it is a torsion garage door spring repair, or an extension spring that need to be replaced, it is important to wait for the repairman to fix the spring before using the door again. Warning!!! Garage doors springs are under a lot of tension. When they break, they can be dangerous to you, or to objects near them. If you think that there is something wrong with the garage door springs, or any other part of the door, or if the garage door is not working like before, or if it making strange noise, please contact a garage door contractor in Corona, to come and inspect the door. Our garage doors technicians, have successfully fixed and replaced hundreds of garage doors springs in Corona. They have the experience to fit the door with the right spring, that will bring it back on track again, and that will help the garage door work in the perfect way that every garage door should work. A garage door with extension springs, should include safety cables, which should prevent damage in case the spring will break. If you have extensions springs, but you cannot find the safety cables, please contact a garage door company in Corona, which will come and install safety cables. You may not need them right now, but they can save you or other objects in case they break. Most overhead garage doors are equipped with either torsion spring system, or extension spring system. The springs are the power that make even the heaviest doors to open so smoothly even when they are being used manually. If your garage door is equipped with torsion spring system, you will be able to see the springs 0 or a single spring in some cases – installed on top of the open, wrapped around the shaft. Those spring are usually installed for commercial garage doors in Corona, since they are designed to take more weight when they are properly installed. If you are searching for a garage door supplier in Corona, to purchase torsion springs and to install them by yourself, you should think again. the needed tools and experience ended badly. Most overhead doors in Corona include extension sparing system. When you look at your door, locate the tracks, and look above them. You will see that above each track there is a spring (In some cases you will find 2 springs on each side). Those are your extension springs. It is important to let you know that every extension spring repair, and it does not matter if it is a spring repair in Brooklyn, or a spring replacement in Corona, should include safety cables installation. The safety cables may seem like a waste of money to you, since your door worked fine so far without them, but what you should know is one simple thing: Safety cables can save you a lot of money, and in some cases even protect from injuries. We will demonstrate with a short story. One of our technicians arrived to a garage door repair in Corona. The customer had a problem with one of his safety sensors, and he fixed the problem. When he noticed that the door is working by extension springs, and that there are no safety cables installed, he offered the customer to install them for him. The customer replied that the door worked fine for 12 years with no safety cables, so there is no reason why it shouldn’t continue to work. After 3 months, we are receiving a call from that customer who ask us to send the same technician that we sent him 3 months ago. When the tech arrived, he see that the spring snapped, and that the customer is laughing. Apparently when the spring snapped, the ring fly and broke his windshield, something that cost him 785$. So be careful, and never play or test the safety guidelines. What to do when the garage spring break? springs are the most common in garages in Corona, and since we have the experience after many years of servicing garage doors in Corona to fit the right spring for your overhead door. Whether you need a commercial torsion spring repair in Corona, or if you are looking for a residential garage door repair in Corona we can help. We carry the garage door springs with us, and we can fix your garage door on the spot. door and its mechanism and you will know exactly what you are doing. If you own a commercial overhead door in Corona, or if you are interested in replacing torsion springs, or if it is a heavy garage door, we recommend to you to use the services of a garage door specialist in Brooklyn to perform the spring replacement for you. A garage door spring replacement can be dangerous, and the best thing to do will be to use the services of a garage door expert in Corona, how have the knowledge and the experience to fix any garage door spring in Corona. Now it is the time to make it clear that we usually replace both garage door springs, and we recommend you to do the same to maintain the safe operating of your garage door in Corona, and to make sure that the door will remain balanced. After you contact a garage door supplier in Brooklyn New York and located the needed spring, the next thing will be removing the old spring and installing the new spring. Here is the place to make it clear that a garage door spring replacement can be a complicated job, and sometime what may seem simple on youtube, can be much more complicated in real life. There are many tutorials who explain how to replace a torsion spring in Corona, and following their instructions should make it easier for you to replace your garage door springs. But remember that the tutorial was filmed in a particular garage in Corona, and your garage and even your door is probably different than the one which is presented in the Video. So make sure you know exactly what you are doing, and avoid guesses and unnecessary risks. If you are not sure, or if you have questions on how to fix a garage door spring in Corona, contact us for a same day service. After servicing garage doors in Corona, we have the knowledge and the ability to fix every broken garage door. Whether it is a broken garage door in Corona, or a roll up gate repair in Corona, no garage door repair is too complicated to us. And replacing garage door spring in Corona is something that we do on a daily base. We carry with us springs to fit all garage doors in Corona, and we can be there today. There is no need for long waiting, and there is no reason why we won’t be there at your convenience. All you need to do if you want your garage door spring replaced today is to give us a call for emergency garage door repairs in Corona. If you decided that you prefer to perform the spring repair by yourself, please make sure that you have the necessary knowledge, tools and spring. There is only one size of spring to fit your garage door and make it work in in a smooth way. Trying to use the wrong spring, or a spring that seem like the right spring, can lead to a bigger damage, and can put you at risk. with. If a new opener was installed in your garage door in Corona, but for some reason the opener stopped working after few months, and need to be repaired, there are 2 options: The installer did not do a professional job, or the operator has a problem. But no worries, not every broken opener, that need to be repaired, mean that it is time to get a new opener. It only mean that it is time to contact a company in Corona that fix broken garage door opener. Not every garage door need an opener. There are many parameters you should consider before installing a new operator, or when you decide to replace your garage door with a new door, and you are not sure if to buy a new opener as well. You should ask yourself: Do i need an opener? How often am i going to use the garage door? Who is going to use the door? What kind of operator should i buy? We are here to help you make the right decisions. Whether you need a belt drive operator, a screw drive operator, or a chain drive operator, a 3/4 Horsepower Opener, a 1 Horsepower Opener, a battery backup, how many remotes, and much more. The knowledge we acquired during years in the garage door repair filed, is going to help us, to help you making the right decision, on your way to a new garage door operator. One of the most important things, when it comes to garage door opener repair and installation is safety. The Federal law mandates every garage door openers to include safety features to prevent the garage doors from hitting objects in their paths. One of the ways, is to install safety sensors, that their job is to make sure that if the door is on its way down, and someone, or something is breaking the beam, the door won’t close, and by that prevent hurting people or objects. that you want to do all you can to protect and grow that investment. That’s why we are dedicated to offering efficient repairs, quality parts, and top-rated garage doors to all our customers in Corona. The repair of garage doors in Corona. Corona can turn to Ken Davidson Garage Doors for any type of garage door repair. A BBB-certified licensed contractor in Corona, Ken Davidson Garage Doors serves homeowners in communities throughout Corona. We have been in business for over 40 years and employ some of the top garage door repair professionals in the business. Call us today to discuss your repair needs. At Ken Davidson Garage Doors, we are committed to providing expert services to all our local customers in short time windows. We know that having a malfunctioning garage door is inconvenient, and also increases risk of property damage and personal injury. 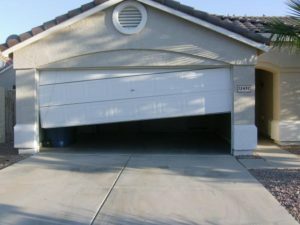 Your garage door is likely the largest moving part in your home, so requires prompt attention when malfunctions occur. When you contact Ken Davidson Garage Doors, you can consult with one of our expert team members, who will suggest repair options, and schedule your service call. Often, we can complete needed garage door repair in Corona within one day. You can reach us 7 days a week, so do not hesitate to call the minute you determine you need repair. take in your home and are committed to helping you protect and maximize your investment in your property. Whether you need a small job, such as a hardware upgrade, or a complete new door, Ken Davidson Garage Doors can deliver. We also provide garage door spring repair and replacement for Corona homeowners. At Ken Davidson Garage Doors, our expert technicians and mechanics have experience working with all types of doors single, double, and automatic. If you do not have an automatic garage door opener, call us. We can help you select the garage door opener which is right for your needs and provide professional installation. Why continue to be burdened with the inconvenience of a manual door when you can have an automatic one installed? Contact us to learn more about options and pricing. Also, if you have issues with your garage door opener, we can fix that too. Remember Ken Davidson Garage Doors as your one-stop shop for every garage door repair in Corona that you may need.